The baby class (0 - 15 months) awakens baby's senses through music and movement. 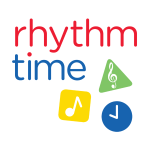 The toddler class (15 months - 3 years) develops their rhythmic and listening senses, encourages them to sing in tune and develops their sense of pulse through percussion playing. The pre-school class (3 - 5 years) prepares the child for playing a musical instrument at a later date, using musical signs and symbols, developing an awareness of various instruments, and interpreting different styles of music. Sessions in various locations - Great Sankey, Padgate, Stockton Heath, Latchford and Lymm. Please see separate entries linked to this organisation for more details.